That's the title I proposed for Brother Eliseo Soriano's biography article in Wikipedia. The page is jealously guarded by Wiki Administrator Moriori, my newfound online buddy. I have nothing personal against Moriori. In the course of my discourse with him, however, I have developed an acute disgust of Wikipedia, here's why. My stand is simple. A subjective adjective has no place in a sentence describing a person, especially in his biography page. The word "controversial", after all, is not exactly descriptive of the person of Brother Eli. that word only describes other people's opinion of him. I'm not disputing that some people consider Brother Eli as "controversial". I will, however, vouch that many people also consider him "phenomenal", "inspiring", "exceptional" to name a few choice adjectives. To his enemies I'm sure they would use all degrading adjectives in the dictionary to describe him. All these words, however, are a judgment by people on the character of Brother Eli based on their unique and personal appraisal of his person. A website purporting to be an encyclopedia, meanwhile, must refrain from using such words. Interestingly, Wikipedia does not use the word "controversial" to describe people of proven "controversialness" like Jimmy Swaggart, Bill Clinton, Evita Peron or even the self-proclaimed antichrist José Luis de Jesús Miranda. They were all described casually on the basis of their nationality and profession or avocation. Why on earth then is Wikipedia allowing one Moriori to insert the word "controversial" on the biography of Brother Eli Soriano? 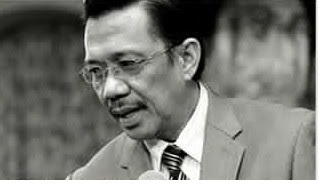 The inescapable conclusion is that he has a bias against Brother Eliseo Soriano. He denied this allegation twice. I doubt his denial very much. I am now calling the attention of Wikipedia to Moriori's bias. That's very unbecoming of a Wikipedia administrator. Still I'm giving him the benefit of the doubt. Perhaps Moriori is just trying to be controversial himself, hmmm.